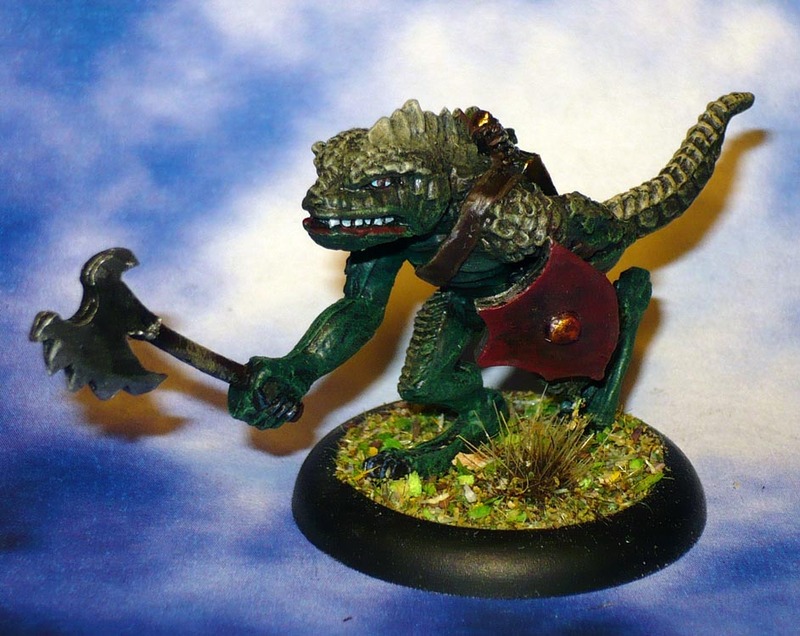 Which means I got to round off 2015 with some more hastily painted minis! 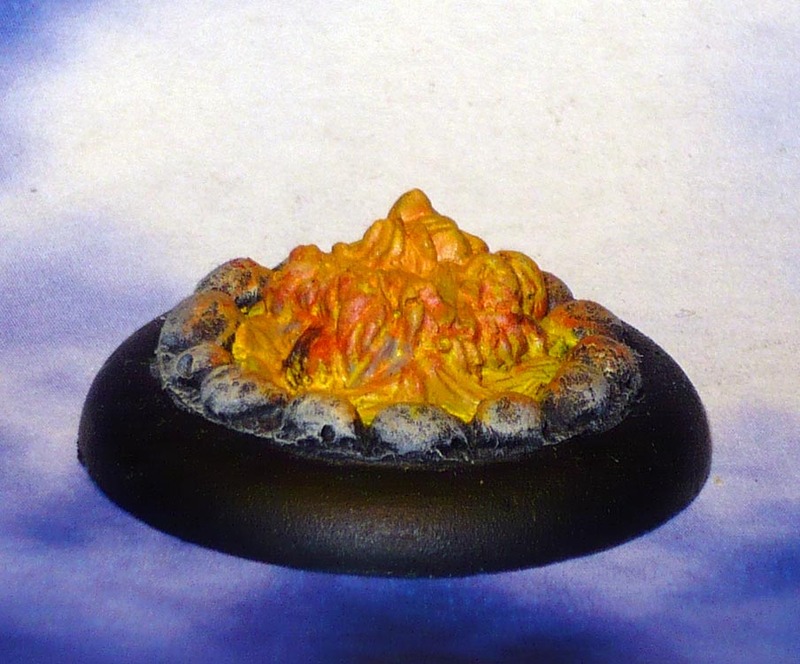 The Campsite Fire from Oathsworn Heroes KS resin scatter terrain, (I need to say that it looks much better IRL, with more sculpted detail than is apparent in the photo). 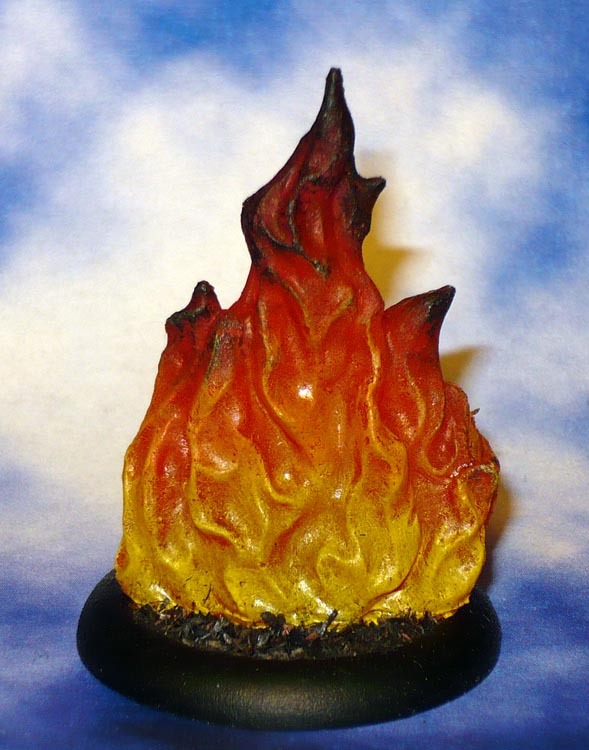 77080: Wall of Fire from Reaper Bones KS2. This piece is made in orange coloured transparent Bones PVC. Obviously, I still struggle with fire. Oh well, I still have a few more of the transparent Bones to practice with. Both on 30mm Bases. The Oathsworn one is integral. These are the goals in DreadBall Xtreme. They are seperate pieces because of the varying pitch layouts you can have in the game. 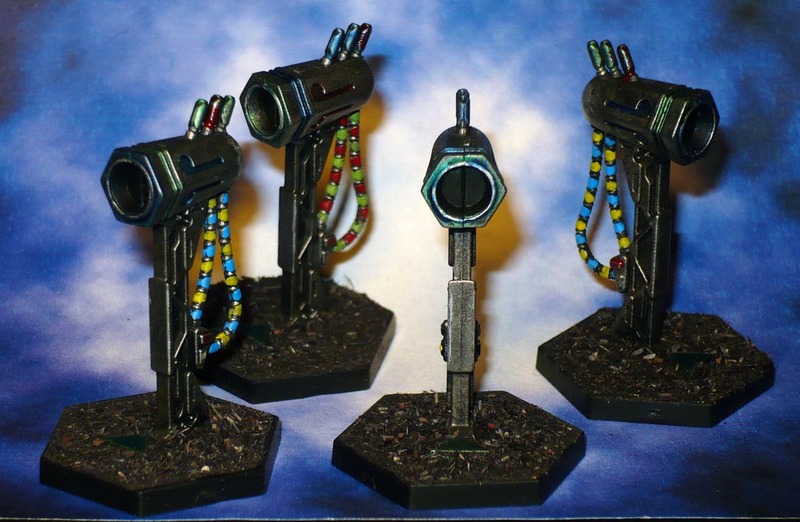 Yes, they are rather simply painted, I just had the need to get these off the shelf. I still have a ton of other bits like crates and barrels from that game to do whenever I get around to it, not to mention similar bits from DeadZone. Another experiment on a transparent Bones. this time the 77369: Shadow. This one is transparent Purple and I tried to give it a kind of gradient with several colours, but I do not think it worked all that well. I need to put it in front of a bright light to see any of the colours. I tried to highlight it with a careful drybrush, but that just ruined it further. I think it might have worked much better if it was clear transparent instead of purple, since the purple is quite dark in itself. It Came from the 90s! 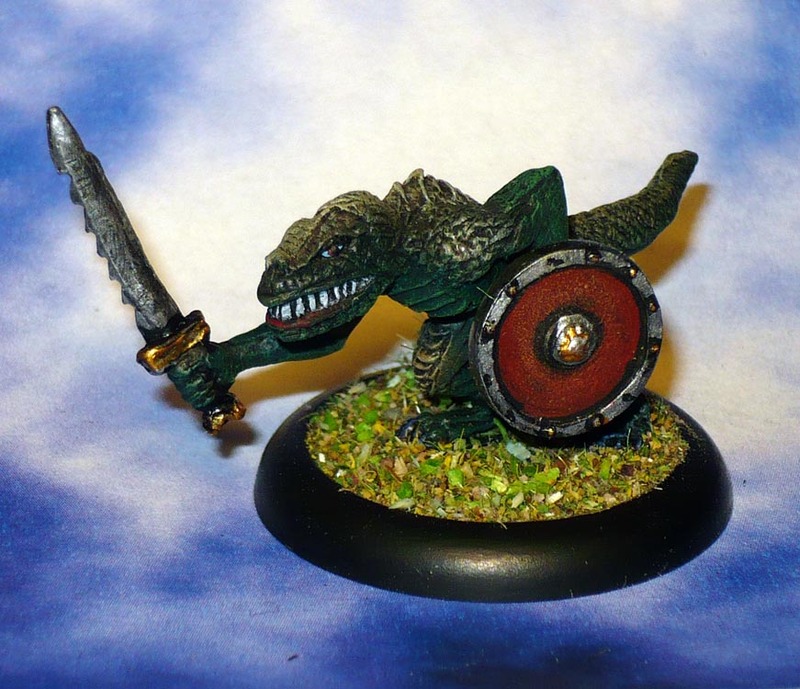 Three old lead Lizardmen by Harlequin Miniatures round off the year. I found some in the old stash some time ago. 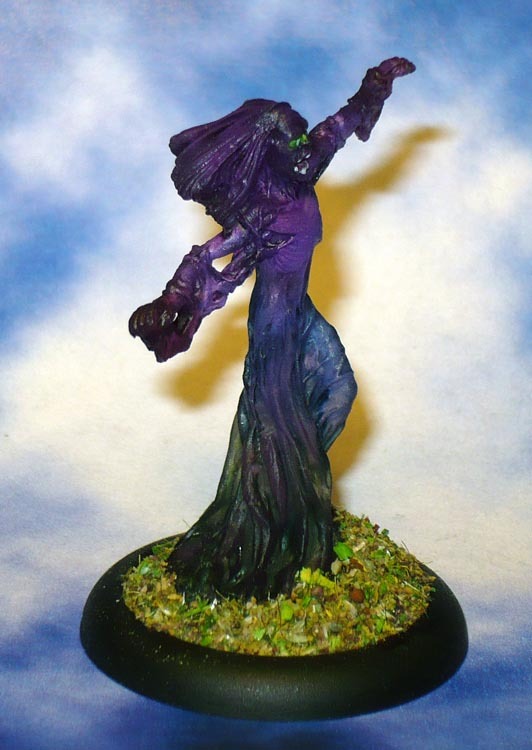 For some reason, I really like these minis, even though they are a bit rough in the details. Keeping it simple, done in much the same colour scheme as the Raptors I did earlier in the year. The shield on the smaller one is not the original for that model (which I could not find). 1. 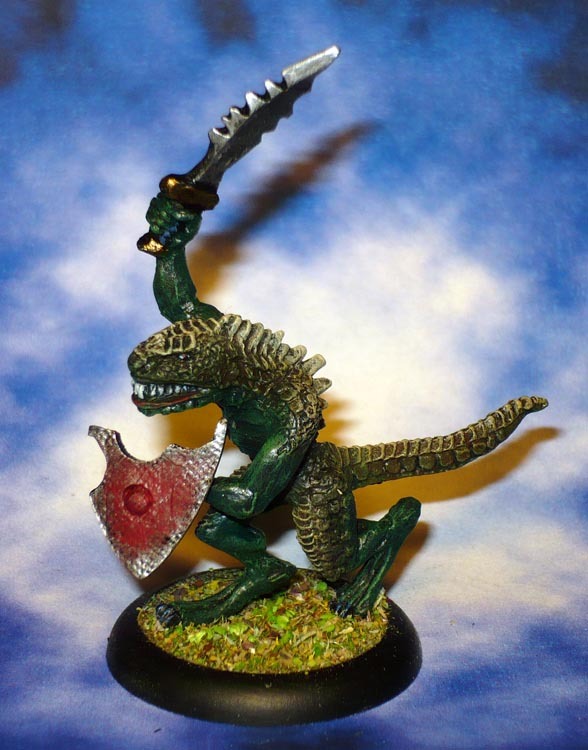 Not to buy any miniatures (ebay or otherwise) apart from kickstarters unless said miniatures are funded by my own ebay sales. I actually managed this one! I sold alot of old stuff on Ebay, and used the money from that for my outside of KS spending. There were just a few purchases from ebay, and the only store purchase was the Age of Sigmar box set. As far as I remember that is. However…there were many kickstarters…and I think I spent a bit much. Again. But I did manage to not go bananas in the Warpath KS. Maybe I will manage to restrain myself in the pledge manager as well. There was something I cannot quite out my finger on about that one that made me dial it down to a single dollar. Check. 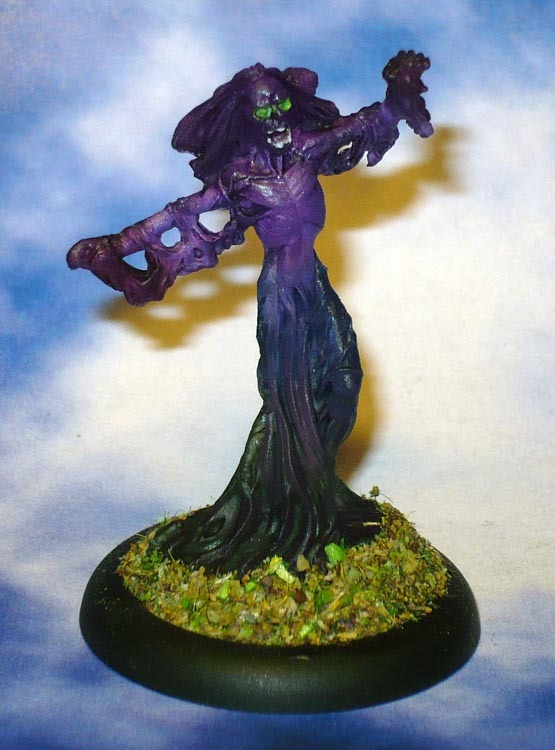 The Reapermini.com forum “resolutionary painting challenge” as a good help here. I think maybe I will call this a “partial success” as I have completed many squads this year, but no complete armies and no complete game sets. Still have some Shadows of Brimstone left to do before I can say that. I am rather flighty, and have many different projects started that really are going nowhere…So this one really never had any hope. I don’t think that is a bad number at all. Of course, I tend towards a sloppyfast “tabletop+” finish, the + being that I go a step or two beyond block colours and I like to do the face and eyes. I will be interesting to see what 2016 will bring!